Kanagawa water reproduction center started driving as the seventh water reproduction center in Yokohama-shi in March, 1978 (Showa 53). We are doing Kanagawa Ward, Nishi Ward, most of the Hodogaya Ward and Tsurumi Ward, Asahi Ward, a part of the Kohoku Ward with processing ward and process about a one-seventh sewage of population of Yokohama-shi. We start high processing (nitrogen, the removal of phosphorus) in March, 1999 (Heisei 11) and handle approximately 50% of inflows highly at fine weather. Furthermore, rainwater stagnant water pond retaining initial rainwater as contamination outflow measures at the time of rainy weather is installed. 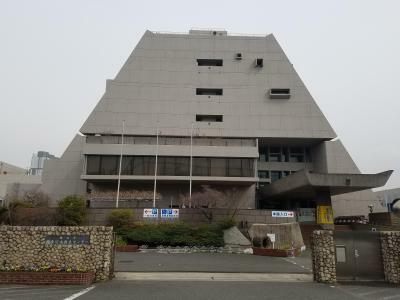 There are many pumping stations and pump facilities including Sakuragi pumping station, Hodogaya pumping station, Hiranuma pumping station, Kusu pumping station, rainwater adjustment reservoir in disposal of Kanagawa water reproduction center area, and driving watches by distant place monitoring control unit. We receive filthy water from most families of Nishi Ward and send Sakuragi pumping station to Kanagawa water reproduction center. We drain away rainwater at the time of the rain to Ishizaki River. We receive filthy water from some families of Hodogaya Ward and Asahi Ward and send Hodogaya pumping station to Kanagawa water reproduction center. We drain away rainwater to Katabira River at the time of the rain. 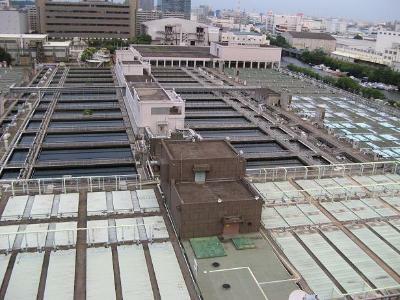 Hiranuma pumping station drains away rainwater around the Yokohama-sta.-nishiguchi at the time of the rain. Drainage is Aratama River which is branch of Katabira River. Kusu pumping station is the reinforcement pumping station of Hiranuma pumping station draining away rainwater around the Yokohama-sta.-nishiguchi at the time of the rain. Drainage is group Aratama River which is waterway discharge for Katabira River. We temporarily store rainwater of district where the ground along Katabira River is low in at the time of heavy rain mainly, and Hoshikawa rainwater adjustment reservoir drains of water at the time of fine weather. Toward Keihin Electric Express Nakakido Station direction from East Exit of JR Higashi-Kanagawa Station, we withdraw by stairs or elevator below. Across intersection with Higashikanagawa station square "Koban" (police box), we advance to national highway 15 line through Keikyu Line underpass. Journey, convenience store are on the right. Ahead of pedestrian bridge of Route 15 at Kanagawa two orders eyes intersection, we cross signal to direction of used car store and cross Murasame Bridge in the right. The front gate of Kanagawa water reproduction center is on the left when we just go straight on.